As suspense thrillers go, Kshanam couldn't have been slicker; but deftness is not all what it has got. 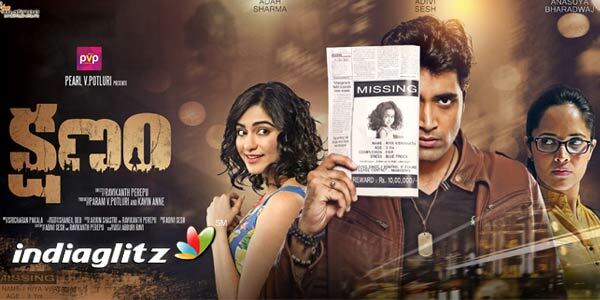 At a time when technical finesse is the minimum and the maximum that you get from so-called suspense thrillers, Kshanam comes with a strong emotional content, a proper story, a good number of characters who enter without fuss but who create one more unanswered question as they exit. Rishi (Adivi Sesh) is an NRI doc in the US. He is yet to outgrow his love failure. When he thinks it is all over between him and Shweta (his ex, played by Adah Sharma), he gets an anxious call from her. On his return to India, Rishi finds Adah in deep emotional trauma because her 3-year-old daughter, Riya, has been missing for the past 3 months. He begins his investigation starting from zilch, as everyone from the police to Shweta's neighbours and Riya's school principal have no idea about having seen the girl. Bobby (played by Ravi Varma) as the brother of Shweta's husband (played by Karthik) gives Rishi the first clue with his suspicious behaviour. However, there is more to it than meets the eye. 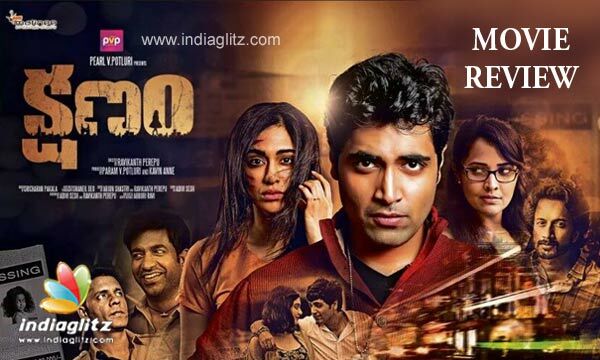 More than the story, it's the screenplay which makes Kshanam an immensely watchable one. Even a much-explored technique like non-linear narration is not deployed superficially here. The rom-com element is thankfully underplayed and the flashback is not over until you are done with the film! Even something that frightens to get jaded - the drug peddler's story - is surprisingly unfaltering. 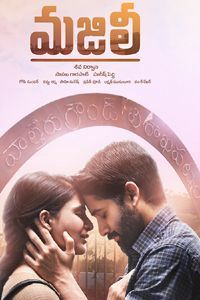 More than the actors or the dialogues, it is Sheneil Deo's pleasant cinematography and Sri Charan's dexterous background music that really perk up the appeal in such portions. The scenes involving Adah Sharma and Adivi Sesh are a treat to watch. Defying the conventions, director Ravikanth Perepu keeps this potential tearjerker of an element simple and un-melodramatic. On the other hand, the relationship between Adah and her husband registers in our minds even though there is not a single scene where they are seen together. Such is the strength of the writing. The songs are weaved into the narration and go with the flow. 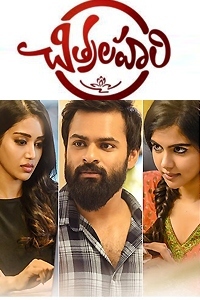 Anasuya Bharadwaj makes an impactful debut; her demeanour, her aplomb and dialogue delivery are nice. She is surely a good find for the big screen and hopefully her best is yet to come. Sathyam Rajesh showcases his acting talent in the role of a sincere cop who exudes arrogance without making it look funny. 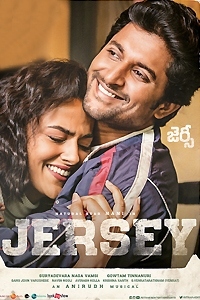 Vennela Kishore is just OK. Satyadev is brief and good. The child who plays Riya is cute. Credit goes to Ravikanth for getting on board good performers and excellent technicians. Adivi Sesh finally gets a full-fledged role that suits his talent. Since there are no run-of-the-mill songs, dances, rom-com scenes, outbursts and all, Sesh pulls off the role quite well. Adah Sharma is convincing. The soulful relationship between Rishi and Shweta needed to be played up poetically from the beginning to make the denouement even more tight. Verdict: A slick suspense thriller with good acts, neat narration, and, above all, fabulous cinematography and background music.